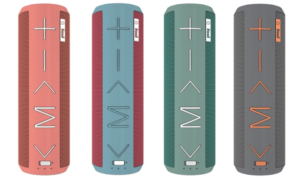 If you like the look and sound of the UE Boom but don’t want to shell out a few hundred, check out the IJOY Soul 360. This beastly bluetooth speaker packs 2 40mm drivers for serious bass. Play music for 10 hours straight on this gigantic built in rechargeable battery. If you need something to deliver sound on the go, this might be the deal you’ve been waiting for.